50 activities, long and short, for use in any setting with older people. This little book is truly a cabinet of wonders. Do not be deceived by its simple descriptions of creative activities. Each one is a door onto experiences that might take you in all sorts of unexpected directions. At the same time, these ideas have been tested day after day, sometimes for years. They work. They offer fun, discovery and delight. They fire the imagination. They have been invented by artists who love working with people and who have generously shared some of their best tricks. It is a precious gift because seeing what others do, picking up things you like and adapting them to your own situation is vital to developing a participatory art practice. Arts 4 Dementia Best Practice Conference 2019 will be held at Wellcome Collection, London. Leaders in health and social care, social prescribing and arts practice for dementias will present and debate SP, the direction given to people to local arts opportunities as pre- and post-diagnostic support for dementias. ArtsPALs, a volunteer creative befriender consortium, will be launched to provide arts-loving companions to accompany individuals to activities and events of mutual interest. The University of Derby's Creative Ageing Research Cluster invite you to attend a seminar on 'Creative Ageing: Has our time come? Developments in politics, policy and understanding' with Paul Cann (Age UK) and Alexandra Coulter (Arts & Health South West). We've added years to life but have we added life to years? The answer is very mixed globally, with dramatic population ageing being regarded with scepticism, indifference and growing fear: as a demographic timebomb rather than a demographic triumph. But living longer could be a win for all, if we can respond with the right and opportunities to give people added life and fulfillment as they grow older. Yorkshire Dance want to hear from people who would like to contribute to a festival exploring the reimagining of age through dance, 24 – 26 October 2019. AGELESS is a response to the huge level of participatory work with older adults taking place across Leeds and Yorkshire, and to the interests of the local and regional dance sector. The festival aligns with Yorkshire Dance’s new Encounters weekends, through which we bring our diverse audiences together to share performance, workshops, conversation and food. The UK’s largest family arts and culture conference will explore the value of family engagement, and communicating that value to families, funders, and our own industry. This event will bring creative professionals together to explore the benefits and challenges of accessible and engaging intergenerational cultural opportunities. BBC Music Memories is a website designed to use music to help people with dementia reconnect with their most powerful memories. Evidence shows that music can help people with dementia to feel and live better. The theme of the next Age of Creativity Festival (May 2019) is ‘partnership’ but we appreciate it’s not always easy to connect with the right partners. 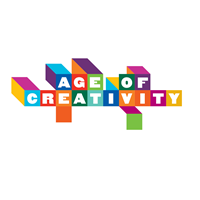 Could the Age of Creativity network help you? We are seeking up to 10 people/organisations in need of partnership support. The theme of the festival in May is ‘intergenerational’ and we want to help you to create new and exciting events for it. Maybe we can help by linking you to organisations in a different sector or connect you to an organisation with a shared vision and a different skill set or pool of resources. If you have tried to connect and found it difficult or are struggling to identify who might be best to link with- let us help you. A Social Prescription: Collaborations through arts, health and education will be hosted by the Whitworth Art Gallery in Manchester, a centre for excellence in arts and health, we invite educators, curators, researchers, artists and policymakers to discuss the immense diversity of approaches to arts and health in current practice. A PRACTICAL GUIDE FOR CHARITIES AND SOCIAL ENTERPRISES Whether you want to improve health, education or employment, measuring wellbeing can show you the wider impact you have on the people and communities you support. If you missed it July's issue included info on #onemorething, Making intergenerational connections, New Museums as spaces for wellbeing free online course, Creative Minds work with older people with learning difficulties and Best Practice Symposium on the theme of Social Prescription. Following our sell-out event last year, this year we will be moving from examining the case for social prescribing and the benefits it offers to exploring the ways in which it can be embedded and implemented. In collaboration with the College of Medicine and the Social Prescribing Network, we will look at how it can be measured and the impact it is already having on outcomes for patients. The BAAT series of ‘Attachment and the Arts’ conferences aims to explore art therapy through the lens of attachment theory and related research. Being close to others and having trusting relationships is at the heart of being human. The breaking of these affectional bonds can have cruel and catastrophic effects on any of us. In 2017 & 2018, 64 Million Artists worked with Leicester Ageing Together to explore the impact of everyday creativity and simple digital tools on the wellbeing and social inclusion of older people. This action research project was funded by Nominet Trust and The Baring Foundation. Keele's Centre for Ageing Research (KCAR) is delighted to host Dr Nuria Casado Gual (University of Lleida) whose internationally-funded research fellowship is enabling her to develop and share her work on late-life creativity in partnership with colleagues at Keele, the New Vic Theatre, and the creative writing community of North Staffordshire. Book your place – https://www.eventbrite.com/e/a-creative-exploration-of-ageing-across-our-lives-tickets-46138721157 “We are inviting artists of all ages, visual and performance artists, photographers, poets, musicians, dancers, writers and film makers to join us to:- explore, create and play with the very notion of ageing; the implications, both in the broadest sense and personal, our perceptions of self in time past, present and future - not so much later life but across the life course . The Patterns and Potters of our city. 'Tuesday's pottery class is like a religion', said a resident to me the other day, 'it's the marker of my week, every day before and after is the countdown to pottery day'. cARTrefu is an exciting arts project run by Age Cymru. Since 2015 we’ve been matching Welsh care homes with some of Wales’ most creative artists to give older people access to quality arts activities. The UK has undergone and continues to experience a fundamental change in its demographic profile and society needs to adapt to support an ageing population. As the average age steadily rises and life expectancy increases by 5 hours a day, due to improved lifestyles and healthcare, a radical review of approach is required. Open Forum Events invite you to join us at the Ageing Population: Meeting Needs Through Innovation conference where the challenges, opportunities and initiatives, which are associated with an older population, will be discussed and shared. The annual Future of Ageing conferences have been described by delegates as ‘one of the best conferences I have ever attended’. The conferences assemble experts from the fields of health, housing, finance and business to identify the challenges and opportunities posed by an ageing society. This toolkit is designed to provide you with all the information and resources you need to set up and run an effective intergenerational digital inclusion project. It aims to be helpful to both organisations who are setting out on this path for the first time and those who would like to improve or build on current digital inclusion activities. It can also be used by schools and colleges that would like to offer this project as part of their enrichment activities. 4 - 10 June 2018 Creativity and Wellbeing Week happened for the first time in 2012 and has grown to be a major festival highlighting work going on around arts and health. London Arts in Health Forum works to develop the role of culture in wellbeing and to promote and support arts in health activity across London and nationally.The organisation is free to join and offers events, a regular newsletter, training sessions, advice and support for artists, architects, clinical staff and service users - basically anyone with an interest in arts in health. The Family Arts Campaign’s new Age-Friendly Standards mark an important expansion of the organisation’s remit, developing an essential new strand of work supporting the cultural sector to welcome older generations. What are the Age-Friendly Standards? The Standards are a national self-assessed accreditation for cultural organisations and a recognised and trusted symbol for older audiences and family groups including older people. Organisations that sign-up to the Age-Friendly Standards value all generations and want to provide a welcoming and positive experience for visitors, regardless of their age. The seventh annual London Creativity and Wellbeing Week will take place from 4-10 June 2018. LAHF will produced a brochure including all London events in the week (click the image on the right to view the 2017 brochure on Issuu). We are also planning a separate press and media campaign to promote events in the week. Creativity and Wellbeing Week happened for the first time in 2012 and has grown to be a major festival highlighting work going on around arts and health. It is easy to submit events – simply click on the 'Submit an event' button on the right of this page where you can upload details of your events. Elevate has commissioned Hoodwink to create a sequence of events that unfold around a patient, the ward and the hospital. With funding from Arts Council England and Salisbury Independent Hospital Trust, Hoodwink in Hospital is touring Salisbury District Hospital and 4 other hospitals with a one-to-one special experience for patients. As part of the whole learning experience of creating immersive theatre work for hospitals, it is holding 2 seminars to experience a little of the Hoodwink in Hospital magic and learn more about how the Elevate programme has supported patients’ well-being and recovery over the last 5 years. Luminate have launched new publication Late Opening: Arts and Older People in Scotland, collecting and presenting stories of a diverse range of projects that support older people in engagement in the arts in Scotland. Have you been impressed by your local venue, a visiting theatre company, or a trip to an art gallery or museum? If so, this is your chance to let them know - simply cast your vote and let that organisation know why you think they are Fantastic for Families. You could win an iPad Mini in the process! LAHF has teamed up with Mersey Care to do some work around the diagnosis of dementia and we have a commission opportunity for an artist to create a new tool which can be used by people who have recently been diagnosed in order for them to assess their strengths and the positive things in their lives. We are a cross-college research development cluster looking into 'creative ageing', based at the University of Derby. We are looking at five areas of interest, which will be developed into a research funding bid. Update: April 2018 We are holding a Creative Ageing Research Consortium Development Meeting on Tuesday 17th April 2018, with external partners attending. PRESS PLAY: KICKSTART YOUR CAREER IN PARTICIPATORY MUSIC Thinking about the next steps after you complete your music studies? Starting out and looking for some guidance? A dementia friendly production by Spare Tyre. The Family Arts Campaign have launched the new Age Friendly Standards to provide guidance and accreditation for cultural organisations welcoming older people. Sign-up for free and join over 80 UK organisations who have pledged to be Age-Friendly! At the heart of our Inquiry lies a question: how can arts organisations better fulfil their civic role? The question is not born from mere curiosity but from ambition; one consistent with the work of the Foundation over decades(see a list of previous UK Branch work at the back of this report). This ambition comes from a belief in the benefit that participation in the arts confers on all of us – validating our stories and creating new ones – and in the potential of the arts in a changing world to bridge diverse communities and renew the bonds between us. Fun Palaces is a two-pronged approach to community engagement in culture – by which we mean tech, digital, crafts, arts and science. We are both a campaign for everyday creativity in all its forms at the heart of every community and also an annual weekend of action. The Fun Palaces weekend every October sees professional arts, sciences and tech organisations come together with grassroots enthusiasts to share their knowledge, skills and enthusiasm in a hyper-local event created by and for local communities. Lancaster University Centre for Ageing Research Town and Gown Event 7th September 2017 (9.30am – 4.30pm) Banqueting Room, Lancaster Town Hall With the numbers of people with dementia rising and the costs of care spiraling, dementia remains a challenge that the UK cannot overlook. Tackling dementia is now a priority for the NHS. This includes helping people and their carers live well with dementia after diagnosis. Dementia can have a devastating effect on people’s cognitive abilities and with no ‘cure’ on the immediate horizon, there is a real need to think more innovatively about how we can best support individuals and families currently living with dementia in ways that will actively enhance their sense of self and identity and contribute to an improved quality of life. Interestingly, the creative, imaginative and emotional parts of a person often remain relatively strong. he seventh annual London Creativity and Wellbeing Week will take place from 4-10 June 2018. LAHF will produced a brochure including all London events in the week (click the image on the right to view the 2017 brochure on Issuu). We are also planning a separate press and media campaign to promote events in the week. Being close to others and having trusting relationships is at the heart of being human. The breaking of these affectional bonds can have cruel and catastrophic effects on any of us. The BAAT ‘Attachment and the Arts’ conferences have aimed to explore art therapy through the lens of attachment theory. The questions are: ‘What is the value of art in building close, trusting relationships?’; ‘What are the implications for art therapy practice and research?’. The All-Party Parliamentary Group on Arts, Health and Wellbeing (APPGAHW) was formed in 2014 and aims to improve awareness of the benefits that the arts can bring to health and wellbeing. During 2015–17, the APPGAHW conducted an Inquiry into practice and research in the arts in health and social care, with a view to making recommendations to improve policy and practice. Our partners in this Inquiry have been the National Alliance for Arts, Health and Wellbeing, King’s College London, the Royal Society for Public Health and Guy’s and St Thomas’ Charity. Since 1965, The Winston Churchill Memorial Trust (WCMT) has been funding UK citizens to investigate inspiring practice in other countries and return with innovative ideas for the benefit of people across the UK. ***INTRODUCTORY OFFER: OUP is giving 20% off through their website using the code ACFLYP8*** Over the past few decades, the use of the arts in health has blossomed. What, for many centuries, was seen as a fringe activity is now being recognised as a field that has enormous potential for impacting positively on both individuals and societies. However, despite this surge in interest and activity, there is still limited support available for people working in the field. Although the number of practical training courses for artists is growing and more universities are establishing research groups, most training activity occurs in either practice or research; there are relatively few opportunities to gain parallel experience in both. The ‘Keep Singing, Keepsake Project’ (KKP) worked with older people in residential and community settings via a weekly group singing session. It aimed to strengthen social ties, reduce loneliness, improve emotional wellbeing for participants and promoting intergenerational performance. Following a literature review, focus group, two case studies and 19 interviews, researchers felt they met their aim. KKP helped participants to relax, breathe better and in some cases provides respite from serious illness. Age UK’s Wellbeing Index finds that age isn’t a barrier to living well. The Wellbeing in Later Life Index, developed by Age UK and the University of Southampton, analysed data from 15,000 people aged 60 and over to measure the wellbeing of the UK’s older population. It looked at how people were doing in different aspects of their lives under five key areas – social, personal, health, financial and environmental. Overall it showed there is no ‘magic bullet’ for positive wellbeing in later life and that instead, a whole host of factors under each of the key areas play a part in contributing to a person’s overall sense of wellbeing. Developed from projects in care settings across Cornwall, this toolkit includes ideas, advice and inspiration to begin a dance session in ones own care setting. The aim of this series is to offer guidance on setting up and running singing groups for people with a range of enduring health issues. Express yourself: Your creative writing toolkit includes tips, resources and advice from people with Parkinson's to help develop your skills, explore new styles of writing, understand the publishing industry and market your work. The original idea developed from a workshop with people affected by Parkinson's. The toolkit was produced by a group of creative writers affected by Parkinson's, in collaboration with Parkinson's UK. "Each section will give you hints, tips and links to useful resources that will help you develop your skills, explore new styles of writing, understand the publishing industry and market your work. It's a tool for everyone, whether you're just starting to think about writing or you're ready to publish your first piece of prose or poetry. Dip in and out of the sections, download the worksheets, take your time and get creative!" Simon Casson is a Producer for Duckie, arts company and purveyors of progressive working class entertainment. Here he introduces Duckie’s Posh Clubs: ‘glamorous cabaret and high tea for elegant elders and swanky senior citizens’. Youth has never necessarily been the pinnacle of an artistic career as the British Museum’s Hokusai – beyond the wave exhibition clearly shows. David Cutler reflects on how galleries, museums and arts organisations are widening opportunities for more of us to carry on participating in the visual arts into later age. What role can the arts play in keeping us healthy, for longer? How can creativity protect and enhance wellbeing and quality of life for older people? Boost your understanding of how cultural engagement can generate good health in later life and support healthy ageing by coming along to this informative panel discussion presented by London Arts in Health Forum in partnership with RADA. The panel will feature members of RADA’s Elders Company, their resident theatre company for over 60s; clinical health psychologist, Dr Paul Camic; Co-Director of Salmagundi Films, Bo Chapman; and Artistic Director of Turtle Key Arts, Charlotte Cunningham MBE. The first NAMIH conference is to be held at the Royal Brompton Hospital in London. The conference will be held on Monday July 10th, 11AM - 6PM. The Task and Finish group is working hard on putting together the programme. As part of an Inquiry into the role of the arts in health and social care, the All Party Parliamentary Group for Arts, Health and Wellbeing (APPGAHW) is seeking examples of the arts and culture influencing health and wellbeing outcomes. David Cutler of Baring Foundation reports, 'I have been asking myself this question after participating in the excellent conference at the stunningly beautiful new Royal College of Music and Drama in Cardiff on 6th April. The conference was organised by the Arts Council Wales and Age Cymru with financial support from the Baring Foundation. It culminated with a strong endorsement from Ken Skates, the Cabinet Secretary for Economy and Infrastructure. The day showcased arts activity from the length and breadth of the country, but clearly showed that practitioners did not want to rest on their laurels but see how this could be improved. A report by Glaswegian artist Sharon Goodlet, based on findings from research trips to Australia and the USA. Sharon’s travels were enabled by a Winston Churchill Memorial Trust Travelling Fellowship Award. We are absolutely over-the-moon to be able to announce that we have been awarded nearly £90,000 funding from these two wonderful funders. The investment is to expand the way our digital kit, Doris, might be used more widely by older people and to explore the further creative possibilities of virtual reality technology. Dorset’s first arts festival for dementia, Reawakening, will celebrate the county’s heritage, countryside and artistic life – from the Jurassic coast to Thomas Hardy, historic houses and estates, horticulture, ceramics, music, dance, poetry and drama, textiles, basketry and carving in wood and stone. "As imaginative and artistic instincts can remain vibrant for years after onset of dementia, engaging with the arts and enjoying country exercise help preserve identity and sense of purpose in the community for longer. The sixth annual London Creativity and Wellbeing Week will take place from 12-18 June 2017. LAHF has produced a brochure including all the events in the week. We are also planning a separate press and media campaign to promote events in the week and in Creativity and Wellbeing Plus – for events across the country and internationally. London Creativity and Wellbeing Week happened for the first time in 2012. The 2016 week saw over 150 events with nearly 25,000 participants right across London. The week has now become a crucial feature in the capital's cultural calendar. It is easy to submit events – simply click on the 'Submit an event' button on the right of this page where you can upload details of your events. A one-day workshop delivered by Arts 4 Dementia (A4D), and suitable for arts facilitators, workshop leaders, animateurs, volunteers and postgraduate arts students, as well as organisational staff in areas focused on learning, access, inclusion, development, community outreach, audience development, or visitor programmes. The world stands on the threshold of a great demographic transformation. The number of people aged 65 or older is projected to grow from an estimated 524 million in 2010 to nearly 1.5 billion in 2050. From China to South Africa, across urban, rural and conflict affected settings, ever-growing ageing communities face challenges and foster new opportunities for effective care. Request for case studies – BBC documentary The BBC is producing a documentary that will follow a small group of centenarians to observe their life and show what it’s like to be 100 in the UK. They are keen to find people who can talk about their struggles, reflecting the kind of issues Age UK campaigns for and supports older people with - care, finance, loneliness and general vulnerability. If you have links with centenarians who would be willing to share their experiences, please get in touch with Age UK's Caroline.Minns@ageuk.org.uk by 1 April. ART, DANCE, MUSIC AND DEMENTIA: FROM PROFESSIONAL PRACTICE TO SOCIAL PRESCRIPTION. Live Music Now was founded 40 years ago by Yehudi Menuhin and Ian Stoutzker CBE in 1977. During that time, we have given over 70,000 interactive music sessions throughout the UK, reaching over 2.5 million people. LMN’s specialist musicians have witnessed remarkable scenes as children, older people and hospital patients have been affected by their music. There is a greater need than ever before for LMN’s work. Throughout the country, there are increasing numbers of older people living with dementia or being affected by loneliness - whether they are living independently, in care homes or in hospital. There are also great challenges faced by children with special educational needs and their families. However, there is growing recognition amongst academics and leaders in the care and education sectors that music programmes can provide measurable clinical and social benefits, whilst also providing great joy for those hardest to reach. The Stage is Ageing – Applause! The Baring Foundation’s Director, David Cutler, considers the growth in theatre for and by older people. From immersive theatre through to a 1940s styled afternoon tea party, arts opportunities for older people received a boost today as we announced funding for 16 arts projects through our Celebrating Age programme. Age proved no barrier to dance this week as members of the Generation Games took part in a workshop with the Rambert Dance Company. The £1m grant has been awarded to a project at the Centre for Performance Science, a cross-institutional partnership between the Royal College of Music (RCM) and Imperial College London, and will allow the team to explore the impact of the arts and culture from individual, social, and economic perspectives. I have been Ceramics Activities Lead at Nightingale Hammerson’s Clapham home since 2011 but pottery has been running for over 20 years among other creative activity such as painting, textiles, singing and poetry. The home is pioneering in terms of facilities and care provision; there are approximately 180 residents ranging from residential to nursing and living with dementia. In the time I been there I have been developing pottery classes and projects that are both inclusive to all and sensitive to the needs of each individual. To do this, with the support of a fantastic activity team, care staff and volunteers, I structure group classes, on-floor and one-to-one activities that always ensure I can work closely with each residents. In April last year, Hat Fair Winchester requested pitches responding to the city council’s call for a creative project celebrating the Queen’s 90th Birthday Party. As a company, we love projects that play with theatrical conventions, break down barriers and invite the audience into the performance space but this piece was different. It had to involve older people and have a discussion about their lives at its heart. This was new territory for us. Blog by David Cutler, Director, The Baring Foundation 22/02/2017 Age UK has brought out its first Index of Wellbeing in Later Life. ‘Wellbeing’ is hard to define but elements include, a pleasurable life, sense of purpose, independence and dignity – in other words the life that we would want for ourselves and therefore the life everyone else deserves too. This report explains why the Baring Foundation funds arts and older people activity and what it has supported for the first five years of the programme. This report updates Joe Randall’s ground-breaking paper for the Foundation on digital arts and older people. Based on interviews with artists and ten new case studies it looks at new opportunities such as self-directed activity, personalised care and scaling up of work. This report, by Kate Organ, maps the growing phenomenon of Older People’s Theatre Companies throughout the UK and puts this exciting development in the context of broader developments in older people’s participation in professional and amateur theatre. Not So Cut Off is a new publication from the Arts Council Northern Ireland funded by the Baring Foundation. It gathers evidence from case studies funded by our joint Arts and Older People project on the benefits of participation in the arts for isolated older people. West Yorkshire Playhouse has been leading the way in dementia-friendly performances. We have funded this new in-depth guide based on their unique experience to inspire more venues to take up this opportunity across the UK. The Baring Foundation has had a three year collaboration with colleagues in Belgium, Germany and the Netherlands. Along with a call to action and essays from experts this publication gives a rich series of case studies from the four countries themed by practice, research, training and policy. 24 November 2017 : Hilton London Metropole We are proud to announce that the National Care Awards will return in 2017 for the 19th consecutive year! Entries open in the spring and culminate with our distinguished, black tie, Awards Presentation Dinner on Friday 24 November 2017 at the outstanding Hilton London Metropole, on the Edgware Road. Entries open in the spring, so now is the time to start planning your nominations! Fifty fully funded conference bursaries are now available for people living with dementia and family members / carers to attend the Dementia 2020 Conference free of charge at the Royal Society of Medicine on 13 April 2017. This report is an evaluation of a pilot programme. The role that the arts can play in supporting individual mental health and wellbeing has been widely acknowledged, while research in the fields of arts and health has grown in recent decades both in the UK and internationally. Despite a growing acceptance of the benefits of engagement in the arts by clinicians, medical staff, carers and patients, sustained research programmes crossing the interface between arts and health remain a contested field. The two sectors do not necessarily share the same values, language, working methods or evaluation techniques. Nevertheless, the landscape is changing, with health providers across the UK realising the benefits of such interventions, thus embedding arts programmes in their service provision. A review of many schemes in the UK and elsewhere. Good mental health is key to achieving our potential, as it contributes to good physical health, relationships, education and work. In the UK, mental health problems affect one in four adults every year and account for 23% of the total burden of disease, yet only 13% of the NHS budget is allocated to their treatment. Considering this, alongside the large economic burden of mental illness (estimated as up to £100 billion annually in England), the clinical and economic need to invest in improving our nation’s mental health is evident. The University of Winchester were commissioned ti complete a six month research-based review of Elevate, an art based programme that had been running in Salisbury hospital since September 2013. The evaluation was carried out between June and November 2014. The aim was to find out the different aspects of the impact of Elevate on the patients, the hospital staff and the artists. This report outlines the processes and findings of an investigation into the value of cultural practices in engendering social capital and health and wellbeing in three coastal towns undergoing culture-led regeneration. Investigating the benefits of singing for people with dementia. Together with our working group members, our investigation into singing in care homes has created and amassed a large amount of material. We have distilled our learnings from this material into these 10 Headlines. Research on benefits of singing for older people. The Sidney De Haan centre has conducted large scale surveys of choral singers and the world’s first randomised control trial for singing and older people alongside other research related to the benefits of singing. Are you looking to have a go at glass-making? Get along to the latest exhibition? Perhaps you’re searching the local listings for arts activities you can take your toddler to. You choose - there are lots of opportunities open to you. But what happens to that choice as we get older? New research report into current practice in older people's dance, published by People Dancing and co-commissioned by Aesop, was launched at the House of Lords on 7 November 2016.
f older people were able to enhance all their relationships through storytelling imagine what an enjoyable opportunity it would create. This report shows many health and care services in England are providing good quality care, despite a challenging environment, but substantial variation remains. The research could still use an upgrade in many areas. But what we know so far should cheer any arts advocate. Some time ago Aesop identified the need for an evaluation framework for arts for health and wellbeing. A version for researchers was developed and published in the international journal, Arts and Health, in 2014. Thanks to a commission from Public Health England, a version for practitioners is now available. An estimated 120,000 people now take part in the Bealtaine Festival, making it one of Ireland’s biggest arts festivals. From dance to cinema, painting to theatre, Bealtaine showcases the talents and creativity of both first-time and professional older artists. It is a chance for people to make new and challenging work, a chance to communicate traditions between the generations. It is a chance for the novice to discover a talent until then unseen and a chance for a long-dormant skill to find a new outlet. The Moving Memory Dance Theatre Company developed Digital Doris to overcome the challenges older people face during movement-based workshops held in residential care homes and day care centres. These included physical limitations, like short-term memory loss and mobility problems, plus the venues’ limited space. Elixir Festival celebrated lifelong creativity and the contribution of older artists. Over four illuminating days, the festival featured a range of performances on Sadler's Wells' main stage and in the Lilian Baylis Studio. Not too sure how to go about getting the best from your social media, then this guide is for you. Events are moments for residents to enjoy. Award-winning activities and volunteers coordinator Tamara Juckes shares her advice on making sure they are a success. Too many urban spaces are daunting to older people. But Lyon and Manchester show that they needn’t be. Do older people really struggle with technology? Dance Theatre of Ireland offers WellDance for Seniors, a new Arts & Health initiative designed to foster creativity and social connection in older people whilst improving mobility and well being through creative dance classes & performances. Research shows that arts and culture can help to improve health, wellbeing and quality of life for people ages 65 and above. There is an invaluable charitable organisation in the UK called Paintings In Hospitals (PiH). By providing therapy and escapism through the medium of the visual arts they offer an alternative aspect to a patients care as well as solace and entertainment to visitors and the care professionals themselves. Established in London in 1959, Paintings in Hospitals works across England, Wales and Northern Ireland. Being 'creative' and 'open' boosts wellbeing in later life Age UK's Wellbeing Index finds that age isn't a barrier to living well. The Wellbeing in Later Life Index, developed by Age UK and the University of Southampton, analysed data from 15,000 people aged 60 and over to measure the wellbeing of the UK's older population. Interestingly however, the Index found that taking part in 'creative activities' such as the arts had the most direct influence in improving a person's wellbeing in later life. The activities that older people took part in included dancing, playing a musical instrument, visiting museums, photography, singing, painting and writing. Over the past four years Jacksons Lane has developed a participation and outreach department that has increased our engagement across North London in areas such as Tottenham, Wood Green and part of Barnet. We have achieved lots with young people however a big focus of the work has been with older people. This has been an amazing and positive learning experience for us too. I often feel I have had several careers in dance: early years as a ballet dancer; then studying and teaching at the London School of Contemporary Dance in its early days; then forming the X6 Collective and plunging into new dance practices like contact improvisation and release technique; then founding Chisenhale Dance Space with another collective and meanwhile working regularly as a solo performer, freelance choreographer and Associate Director (Movement) for the Royal Exchange Theatre in Manchester; and finally, in 1987, setting up Green Candle Dance Company. Japan has a long tradition of cultural and artistic appreciation, from tea ceremonies and flower arrangement, to unique forms of theater and dance. For many older people, post-retirement life offers a chance to pursue their creative interests with renewed vigor, sometimes revisiting past hobbies or learning something new. The ‘Appleby Tate’ is an incredible gallery space that has been created to display all of the fantastic artwork created in Art Sessions by the residents. Creative Minds have been delivering Art Sessions to Appleby House for nearly 2 years now, and the residents most of whom have dementia, have created wonderful art, crafts and sculpture over that time. Moving Memory Dance Theatre use movement, music, spoken word and digital projection as ways of revealing and presenting peoples’ stories. A new book by Dovrat Harel. This book shows that global population ageing is an opportunity to improve the quality of human life rather than a threat to economic competitiveness and stability. It describes the concept of the creative ageing policy as a mix of the silver economy, the creative economy, and the social and solidarity economy for older people. This report advocates the use of arts as a means to achieving excellence in the care home environment. The conference will showcase inspirational practice, policy and the latest research in culture and arts in health and wellbeing. It will discuss the role of arts and creativity in healing, care and wellbeing across the life course. It will encourage discussion and shared learning, facilitating dialogue between researchers, policy makers and practitioners. Earlybird registration ends 28 February 2017. Canadian psychologists from McGill niversity have shown that the neurochemical benefits of music can boost the body’s immune system, reduce anxiety, and help regulate mood. This document provides effective ways to document and evaluate arts projects and programmes that seek to improve health and wellbeing. Evaluating the impact of dance activities for people in different stages of dementia. Booking is now open for the Storytelling for Health conference, which takes place in Swansea on Friday 16th and Saturday 17th June 2017. A new report into the state of the social care sector has advocated the use of the arts as a means of care homes achieving excellence. The Care Quality Commission report says that “making best use of the arts to find creative and innovative ways to enable people to have a fuller life” is key to care homes delivering the best service for older people. The Carnegie UK Trust is seeking information on the approach of different cities around the world to wellbeing. The Trust has published guidance for cities looking to develop approaches to improving the wellbeing of their populations and is now seeking examples of good practice. The 2017 Advancing Healthcare Awards has introduced a category for innovation in mental health services which aims to recognise the work of music, art and dramatherapists. For over 20 years there has been a focus and investment by the cultural sector to provide participatory learning activities for children and young people and programmes which target families. But over the same period research supporting the impact of arts on older people has also continued to emerge. A robust set of research suggests that participatory arts activities are effective mechanisms for increasing the health and quality of life of aging individuals. A new research report into current practice in older people's dance, published by People Dancing and co-commissioned by Aesop, was launched at the House of Lords on 7 November 2016. The report provides a snapshot of current practice in older people’s dance. Demands are increasing on health and social care. State of Care – our annual overview of health and social care in England – looks at the trends, highlights examples of good and outstanding care, and identifies factors that maintain high-quality care. This evidence review is part of a series produced by Age UK, in order to provide evidence to underpin decision-making for people involved in commissioning, service development, fundraising and influencing. This important document by the Alzheimer's Society was written by a group of practitioners chaired by the Baring Foundation and comes with the endorsement of the Arts Council England. It is written to be relevant for venues big and small and across all art forms.